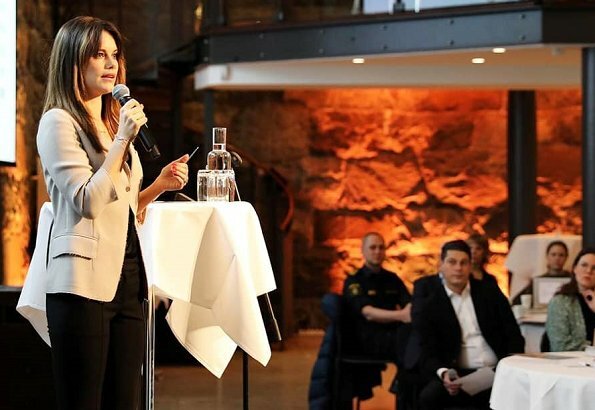 On April 10, 2019, Swedish Princess Sofia attended a seminar held by Gålöstiftelsen at The Brewery Conference Center (Münchenbryggeriet) in Stockholm. 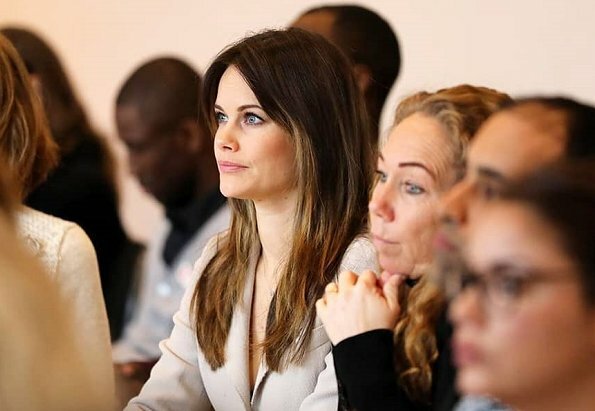 Gålöstiftelsen is a foundation that presents various scholarships to talented young people, provides help to disabled young people and grants to organizations that work against violence and drug usage among children and young people. The Foundation works with Project Playground in certain fields. Nice combination. She look good. She always look good, her clothes, her hair, her demeanor. Lovely face, her hair and makeup look good. Her jacket and pants look clean and professional.